Welcome to the Virginia Chapter! 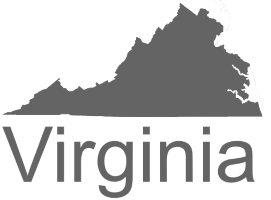 The Virginia Chapter is a non-profit professional society that has been a point of connection for the Baltimore investment community since 1948. The Society provides an open forum for the exchange of fresh perspectives on industry issues and promotes ethics and integrity. Originally called the Baltimore Security Analysts Society, Inc. (BSAS), the Society changed its name to CFA Society Baltimore. in 2006. CFA Society Baltimore is Maryland’s largest membership organization for investment professionals with over 725 members. The membership represents over 100 investment firms. Ninety-six percent of CFA Society Baltimore members hold the Chartered Financial Analyst designation from CFA Institute. To achieve this designation, members are required to pass a series of three intensive exams that equip financial professionals with superior analytical skills, real-world portfolio management experience, and high ethical standards. CFA Society Baltimore is a society member of the CFA Institute, the global association of investment professionals that sets the standard for professional excellence and credentials. The organization is a champion for ethical behavior in investment markets and a respected source of knowledge in the global financial community. The end goal: to create an environment where investors’ interests come first, markets function at their best, and economies grow. CFA Institute has more than 155,000 members in 165 + countries and territories, including 154,000 CFA® charterholders, and 151 member societies. For more information, visitcfainstitute.org.